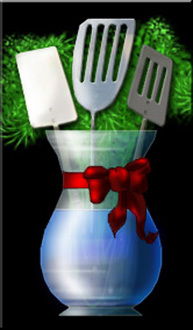 A beautifully arranged virtual bouquet of spatulas. Perfect for any occasion. 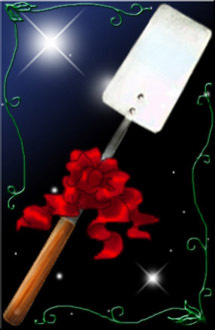 This festive little spatula is great for birthdays, parties, showers, or anything other celebration! 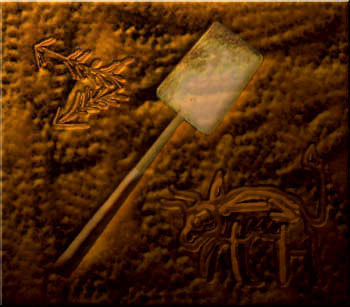 This spatula carved into a cave wall is proof of the use of spatulas by primitive man. It's a fork! It's a ladle! 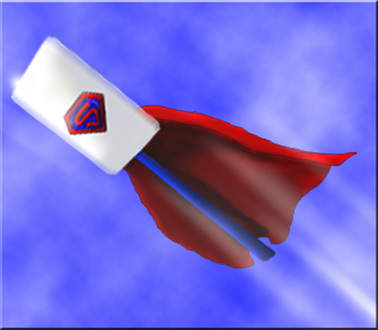 No, it's SUPER SPATULA! You've always wanted a stained glass spatula, haven't you? The next best thing to being a hippie! Who says spatulas are only for the sober? This blurred image might be what a spatula would look like after a few drinks. A classic, long-handled spatula to let someone know you really care. Cupid has his arrows. You'll have to settle for a spatula. 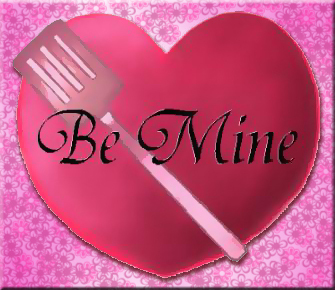 Here's a spatula for those who view Valentine's Day as the Pink Menace. Help your friends celebrate Arbor Day in style. Remember. 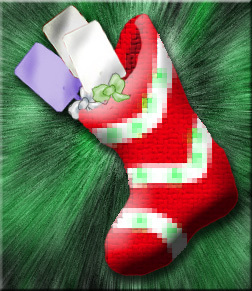 Spatulas make great stocking stuffers. A delightful Easter spatula with cute little pointy ears. 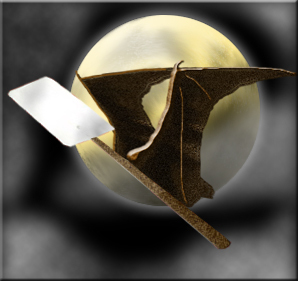 A spooky spatula for that spooky October night. Columbus Day. 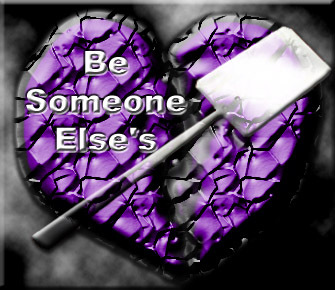 Sentiment: This will appear as header on the page on which your spatula is displayed. 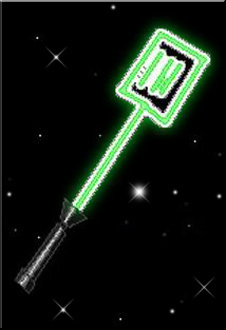 Example: A Special Spatula For My Special Suzie Q.
Salutation: Check it out dude: Cowabunga! Dear [name], Greetings. Heeeeeeeeeeeeey! Huzzah! My dearest [name], To [name]: What up, homey? Yo! 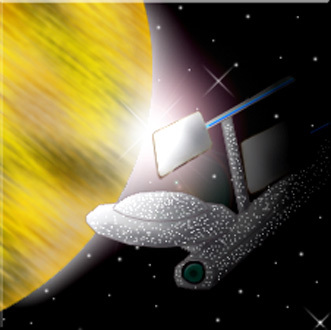 Yo, [name], Attention Silly Goose: [name], This will be used as a greeting near the top of the page. Example: Oh, Susie! How did I ever survive without you? Won't you please accept this spatula as a token of my unending affection? Closing: Best Wishes, Happy flipping, Keep it real. Love, Peace out. Respectfully Submitted, Sincerely, With warmest regards, With coldest regards, With lukewarm regards, With 56.45 degree regards, Your friend, Aren't I a silly goose? This will appear after your message.